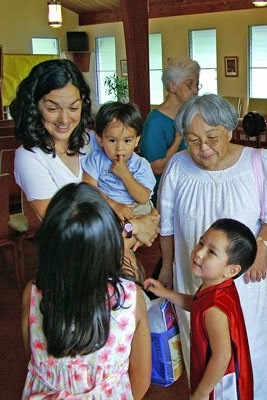 Recently, I wrote about the wisdom and knowledge of caregivers. Families giving care sometimes feel that they are operating in a vacuum - that the only compassionate place is the home because societies in which we live are driven by an ethic of individualism, consumerism and the perpetual growth of a paycheck. So, how can we nudge our neighbours, institutions and governments to value and support our caregiving life? How can we create communities that will 'future-proof' our vulnerable loved ones and ourselves? How can we teach our fellow citizens to behave with compassion and be allies in 'judging and acting fairly'? AdamKahane, in his book “Power and Love” wrangles with society’s toughest challenges. He writes about joining hands across divides to co-create solutions to difficult social problems. He writes “In order to do that, we have to work with two distinct fundamental forces that are in tension: power and love. Kahane defines power as “The drive of everything living to realize itself, with increasing intensity and extensity.” So power in this sense is the drive to achieve one’s purpose, to get one’s job done, to grow. Much of our consumer driven society functions on that operating system. He defines LOVE as “the drive towards the unity of the separated. So love in this sense is the drive to reconnect and make whole that which has become or appears fragmented. People who can understand the concerns of others and mix those concerns with their own agenda have access to a power source denied to those who can push only their own interests. In this fuller understanding, power is a verb meaning to give and take, to be reciprocal, to be influenced as well as to influence. To be affected by another in relationship is as true a sign of power as the capacity to affect others. .... As you become more powerful, so do those in relationship with you. As they become more powerful, so do you. This is power understood as relational, as power ‘with’, not power ‘over’. Deep change, Kahane maintains, calls for a balance of these two forces because systems based on just one of those forces alone will result in stagnation. And this carries the risk of the overall failure to respond to the chaotic changes that are the natural fallout of human relationships. The impetus required to reinvent the most deeply embedded habits is called for when the results of ineffective systems are a great enough irritant to the majority, that a general consensus to throw in the towel ensues. This happened in Anchorage Alaska when Dr. Doug Eby and his colleagues became so frustrated with the poor outcomes of traditional western medicine that they invented an entirely new blueprint for delivering healthcare. The NUKA Model of Care was born out of the realization that the “owner/users”, as their patients are called, held a good deal of the power for achieving decent health outcomes. Particularly in the case of chronic care, it is often patients who decide whether or not to fill a prescription or to take a full course of medical treatment. The NUKA model of care retained a traditional model of ICU care, because in that setting, patients need systems to take over. But Dr. Eby describes the design of traditional health care delivery for chronic conditions as akin to throwing a stone at a target on the wall. In the messy business of dealing with people, he says, it is not a stone you are throwing at the target, but a bird. No matter how hard you throw that bird at the target, it still may veer off in another direction before it hits the wall. Systems that are rooted in the respect for freedom, yet offer support for our failings or changed trajectories, will result in better outcomes. Dr. Eby worked with aboriginal elders in Alaska to reinvent a healthcare system that balanced love with power. NUKA's operating system is designed to work within the messy realities of real life and real caregiving. Kahane’s ideas and the NUKA model of care combined with our knowledge and experience give us an inkling of how to begin thinking differently about crafting a future for ourselves and most importantly, our vulnerable loved ones. What are the forces that have power over us and prevent us from reaching our goals? One force is our own inclination to diminish the value of our needs. Instead, we look at programme requirements and funding eligibility and stay awake nights trying to squeeze our family circumstances into those narrow parameters. I remember years ago, filling out a form for home help. An older, more experienced Mum was sitting beside me at the kitchen table and she asked, “how much are you asking for?”. I replied, “Ten hours a week, that’s the maximum.” “But that’s ridiculous,” said my friend. “You need at least thirty hours a week. Write 30 hours.” I began to realize that day that Nick’s needs were not something imaginary. Certainly, I did not need to apologize for the manpower it required to keep him alive, well and happy. And if government did not provide me with the help we really needed, well, I would look elsewhere. I would begin to imagine what network centred care might look like for my family and how, together, we could invent solutions for future proofing Nicholas. Here's something new: our family (like many others) is using technology to share the care, wisdom and knowledge. 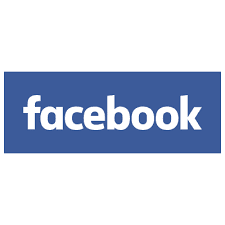 We use an online social network called Tyze, a kind of highly specialized version of Facebook. 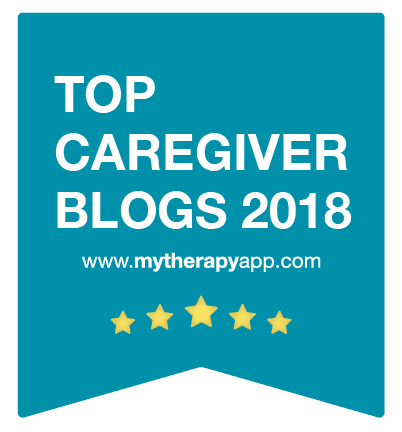 Regular readers of my blog will know that I am a huge fan of Tyze - I have written often of the benefits of online care coordination and the capacity of technology to help families share the burden of care. Let me tell you a bit about how we use Tyze in our family. We began by inviting members of our family to the site, simply to keep them up to date on the health and daily life activities of Nick. At that time, Nicholas’ nursing needs were very high. We were running a home hospital and trying to ensure important messages got through to all his care staff was increasingly difficult and frustrating. I would leave notes about medication changes or other critical directives in a bedside chart, on a white board above Nick’s bed and still they would be missed. I began to think that perhaps I could use Tyze for caregivers, our doctor, social worker and any other professionals on an as-needed basis. Now, we keep the family in touch with Nick’s news via emails and Facebook. Tyze became, for us, a secure way to let everyone know about medical or rehab issues, to alert the team to things like skin breakdown and bowel protocol, and to keep a daily seizure record. We are very fortunate that Nick’s GP agreed to participate in our Tyze site - he can check in anytime to see how Nick is doing, especially if there are fluctuating symptoms, which there often are. We a Tyze site for my Mom's care too. In her case, we use it to coordinate the support she needs between members of our extended family. If and when her needs increase, we'll invite paid caregivers to her network. Technology is a gift that connects us to our past, our friends and our neighbourhoods. I use a blog and a facebook page to advocate for families who give care to someone who is vulnerable. Our story-telling online is vital because it will, over time, shift opinions in the wider society about the value of giving and receiving care. 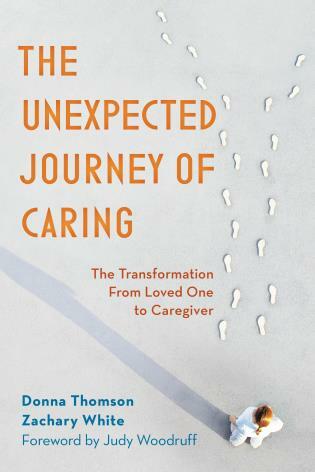 The caregiving narrative in all its forms is the most fundamental tool in shifting attitudes about our knowledge and wisdom in wider society. I have never met another caregiver who did not know what they needed to thrive as a family. We know that paid care together with the love and support of friends, family and neighbours is for us, the key to a good life. This is a future we must build for everyone, including those with differing abilities. We must balance our love with power. We must ally with anyone who shares our vision for an inclusive society and must build a future where care is valued and shared. Our future depends on it. My book, "The Four Walls of My Freedom: Lessons I've Learned From a Life of Caregiving" (House of Anansi Press, 2014) is available now everywhere in Canada and for pre-order online in the US.